Given the creativity and ambition of various filmmakers who are working outside of the world of feature films, it's great to be able to catch up on the Oscar-nominated short films. In addition to the many feature-length movies that are up for big awards, these smaller films are a sampling of the many great short films that arrive every year. Having had the chance to watch the nominated features in the animated and live-action categories (my girlfriend and I will be watching the documentaries soon enough), I wanted to take the time to share some thoughts on all of them. So here they are, presented in alphabetical order. This is the kind of short that is too weird to win an Oscar, but certainly interesting. Featuring an art style that is both minimalist and arresting (as well as colorful), this story of a woman with unusual sight presents a neat handle on how one comprehends reality. The film is slightly humorous, but also presents a sad scenario that uses its limited amount of time to establish meaning. Blind Vaysha is strange and abstract, but also ambitious and worthwhile. Synopsis: Young Vaysha was born with unusual sight: her left eye can see only the past and her right eye can see only the future, while the present is a blind spot. Called "Blind Vaysha" by the people of her village, the girl is tormented by the two realities that she cannot reconcile. 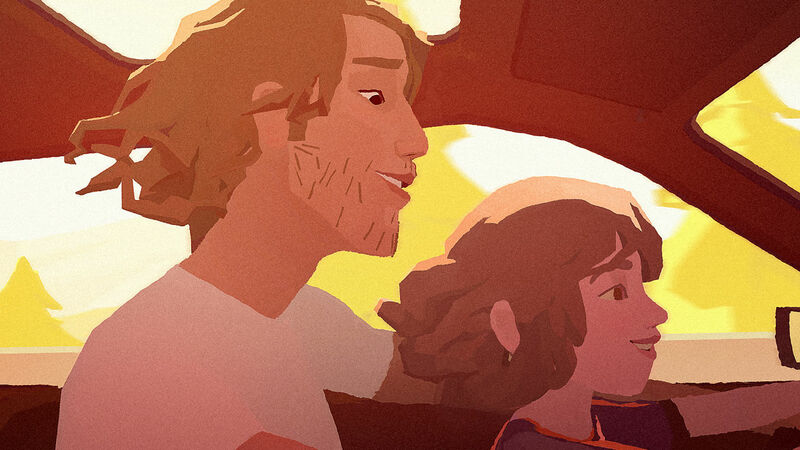 A combination of well-done, stylized CG-animation and an emotional backbone make this another strong nominee. Borrowed Time relies on a dual-narrative structure (switching back and forth between the present and a past event) to tell its story, which is quite effective. The editing is key, as you watch this tale unfold and even while there seems to be an inevitable climax, it still proves to be quite effective. You also get to see a western play out in animated short form, which has its own series of positives in terms of the style. At over 30 minutes, this is the longest nominee of the animated shorts and maybe my least favorite. 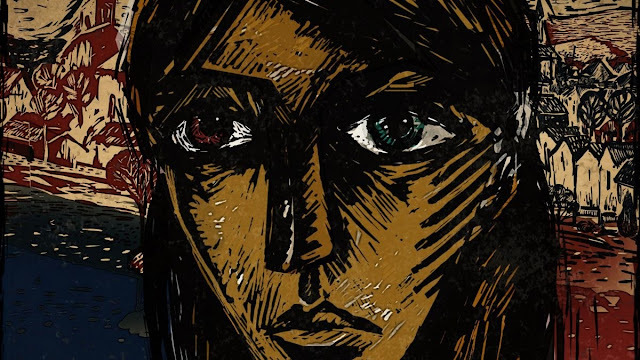 The film provides the story of a hard-living man's life, using a colorful visual style that feels like a motion comic. A lot is unpacked over the course of this film's runtime, which at times is interesting, but sometimes feels a bit overdone. Conceptually this is interesting, given how the film could be going over the life of an actual person or written as a short story, but I wish the film left more of an impact. Synopsis: Hard-living Techno Stypes has been Robert's best friend since childhood, and over the years, Robert has been amazed by Techno's ability to sabotage himself. When Techno is hospitalized in China and needs a liver transplant, Robert goes on a wild ride to get him home to Vancouver. Perhaps my favorite of this group of nominees, as I really liked the approach. The film tells a father-daughter story, backed my a vocal track that is pleasant enough. What really helps are the visuals and the choice to keep the focus on a car the two characters occupy over the course of several years. We see the daughter grow up over time and the film knows how to shift its focus, thanks to having the car serve as a focal point as well. It's a great short that plays well with its concept. Pixar has come up with the film that will likely win and is certainly quite worthy of that honor. 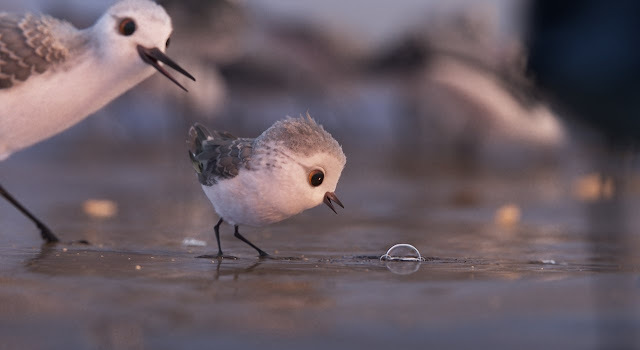 Combining photo-real animation with an adorable story of a small bird learning to face its fears, Piper really does have it all. The mix of a neat story with humor and triumph goes a long way to make this one of Pixar's more memorable shorts in recent years. It also has one of the great smash cuts of 2016, following young Piper's first encounter with a wave. Given how this film preceded Finding Dory, most are likely aware of this short film already, but it certainly earns its nomination. Between The Battle of Algiers and today's political climate, Enemies Within is a sadly timeless short film. As the story unfolds, we see an interview go in various tense directions, while keeping in mind the irony of the characters who are essentially facing off against each other. The dialogue has a good sense of rhythm to allow the two men to bounce their questions and answers off of each other quite effectively. The film also concludes in a manner that really seals how effective this (admittedly Oscar bait-y) short is. Here's a very sweet film designed to bring a smile to anyone's face. At first you wonder where this story is going, as a random woman waves a train. You soon learn how neat this narrative is, as a romantic plot seems to be unfolding in a unique manner. Mixing that with Elise's current state as a bakery owner out of touch with modern technology and there's a fine short film here that builds to a proper (and fairly exciting) finale. Synopsis: Elise has been waving at the express train as it passes by her home every day for three decades. A letter from the train's conductor begins a correspondence between the two, and when the train is detoured to another route, Elise goes in search of her man. This short feels like a well-made drama that has been condensed down into an over-dramatic series of events. Silent Nights is well-acted and filmed with plenty of sincerity, but it continually stacks the deck with more developments when things could have been simpler. Of course, all of this also means the film will probably win the Oscar. An element I did like was the seeing the city of Copenhagen and getting an idea of what its like for immigrants, even if there are some elements that feel a bit reductive. 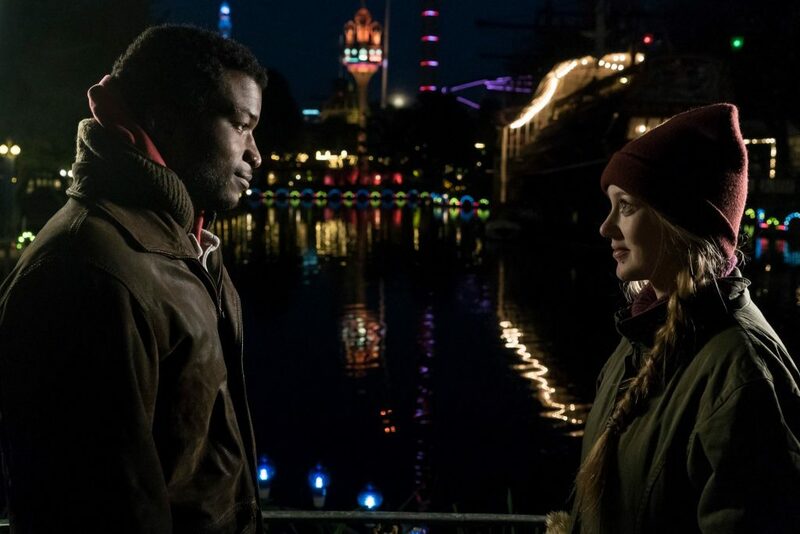 Synopsis: Young Danish woman Inger volunteers at a homeless shelter in Copenhagen, where she meets and falls in love with Kwame, an undocumented immigrant from Ghana. The couple builds a life together, but a devastating secret from Kwame's past may undermine their happiness. Here's a short that also has its share of drama, but builds to a strong climax. Working as a coming-of-age story, it is easy to root for the main characters, as they deal with a cruel teacher. The addition of seeing a friendship form helps round out this short story. As it goes on, one assumes some kind of payoff will make the journey laced with cruelness worth it. Sure enough, it is, as we get the aforementioned climax. Once again, seeing the location of Hungary in this sort of way helped to provide additional interest. My favorite live-action nominee of the bunch happens to also be the most pleasant. A short build-up to a discovery allows this short film to be a neat little romance sparked by dance. Shot in a compelling manner that utilizes security camera footage, I was very happy to see the variety of angles help to tell this story. Timecode even manages to have a great joke to cap it all off. 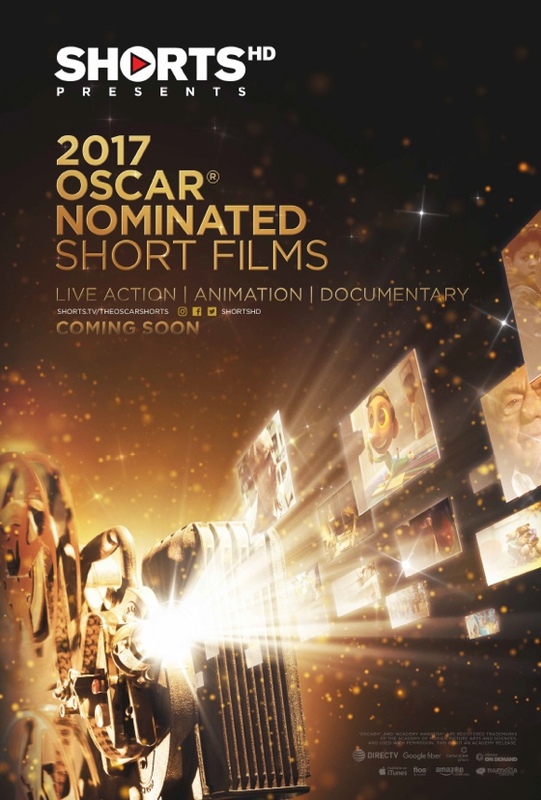 The slightest (but quite good) short won the Oscar last year (good for you Stutterer), perhaps Timecode could pull off the same feat. 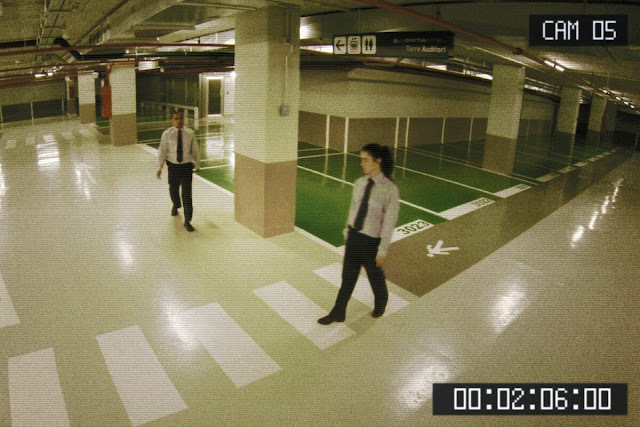 Synopsis: Parking lot security guard Luna is bored with her uneventful daily routine but a call about a customer complaint leads her to discover how the night guard, Diego, alleviates his boredom. Soon the pair develops a relationship by communicating through the garage's CCTV footage. Find out who wins on February 26, but be sure to see the shorts for yourself via streaming on the ShortsHD channel or in theaters.